I covered this two days ago in that finally – after zillions of fawning pieces about Hillary and Michelle – a major newspaper had profiled the Second Lady. I had no idea that one sentence in the story would create a Twitter mob scene. 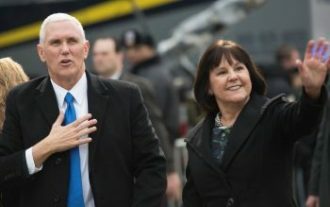 Part way down the story, a Post reporter mentioned that Mike Pence has a policy of never dining alone with a woman nor attending an event where alcohol is served without Karen by his side.